Ed. 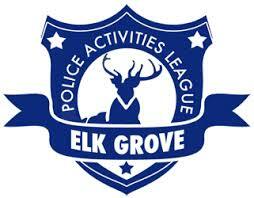 note: Aside from receiving grants from them, The Elk Grove Police Activities League is not affiliated with The Elk Grove Police Department or the City of Elk Grove. A recent audit of the Elk Grove Police Activities League (EGPAL) found numerous deficiencies in accounting of public funds received and expended. The audit, which was performed earlier this year, was ordered by Elk Grove Police Chief Robert Lehner. The results of the audit, which were obtained through a public records request, does not disclose the reason it was ordered. The audit found deficiencies in three general categories, and within each category there were numerous findings. The three categories included internal accounting controls, interaction with government agencies, and books and records. There was inadequate segregation of duties over the collection and deposit of cash receipts, and the disbursement of cash and checks. There was ineffective monitoring by the board of directors. Our reading of the minutes showed that there were long gaps between some meetings and little mention of financial difficulties even though the bank accounts were consistently overdrawn. With respect to the maintenance of the general ledger: During the four year audit period, three different general ledger files were used to record the accounting transactions. The general ledger for 2010-2011 was maintained by former accountants and was not available to us. The electronic general ledger detail for the 2012-13 fiscal year was lost and unavailable for our review. The opportunity for fraud (asset misappropriation) was prevalent and widespread during the audit period. The organization is now having great difficulty in meeting its current financial obligations. Non-profit organizations should have infrequent and routine encounters with government agencies (generally accepted). During our audit we discovered that the organization has had frequent, non-routine encounters with numerous government agencies, including: Internal Revenue Service, Franchise Tax Board, California Secretary of State, California Attorney General, Sacramento County Grand Jury and the Labor Board. Compliance with government laws and regulations was clearly not a priority for the organization. The organization has lost most sources of funding and is on the brink of closing down. Books and records presented for the audit engagement were either unauditable (fiscal year 2010-11) or barely auditable (fiscal years 2011-12, 2012-13 and 2013-14). Sufficient care, skill and resources have not been provided for the care of the books and records of the organization for the periods under audit. Over the last several years, the EGPAL has been one of the largest beneficiaries of the City of Elk Grove's Community Block Grant money. Since 2009, they received $207,010 in community service grant money from the city. Additionally, they have received $63,368 from the Elk Grove Police Department’s Community Grant Budget since 2007. In 2012, the EGPAL also received a special one-time $10,000 grant to fund The Fittest of Elk Grove contest that was organized by Brian Detrick, son of Elk Grove City Council Member Steve Detrick. Since 2007, more than $280,378 in public funds was funneled through the organization. In addition to its funding problems, EGPAL and a former board director have been the subject of civil litigation by a former EGPAL volunteer football coach. Filed by Charles Washington, the lawsuit seeks damages after Washington learned that former EGPAL Director Manuel Saenz had conducted an illegal background check on him. An Elk Grove Police internal affairs investigation confirmed that Washington was investigated by someone using the department’s access to Federal databases. The report did not say who conducted the inquiry. Subsequent to that, Saenz’ employment as a police officer with the city ended. It is not known if he resigned or was terminated. For a complete copy of the report, email editor @ ElkGroveNews. net with “Audit” in the subject line. Re Editor's note: Even though the EGPD is not affiliated with the EGPAL per se, the PAL has had, past and present, high-ranking officers on their Board of Directors including Asst. Police Chief Bryan Noblett and Lt. Paul Solomon. As law enforcement officers, they are bound by duty to uphold any and all laws. Bottom line here with any non-profit charity including the PAL, and certainly one that receives public funds, the Board is ultimately responsible for everything that occurs within that charity. Any comment from either of them regarding this damaging audit? As a city taxpayer, I'm thankful the city finally saw fit to cutoff funding to PAL, but what about all the past years? Wasn't anyone in the city reviewing audited financial statements from them before they gave them more money? Just another day at the office I guess. For an accounting firm to state in their audit report that the records were either “unauditable” or “barely auditable” because the records were either “lost” or wiped cleaned tells me that there was something that needed to be hidden. And when were the records suddenly lost? Before the audit? Auditors only have to report, according to GAAP standards, findings material in nature. For the report to further state, “The opportunity for fraud (asset misappropriation) was prevalent and widespread during the audit period,” says to me that fraud was there but they couldn’t prove it. Several activists brought up problems with the EGPAL as it pertained to the receipt of public funds back in 2012 -- coincidentally, or not, the same year that everything for that year was lost and could not be audited -- but the city council refused to take action at the very least to ascertain if the public's money was safeguarded. I guess those “so called” ladies were right again. Maybe the Elk Grove City Council just didn't care about a quarter of a million dollars and instead were more interested in protecting their political cronies on the EGPAL Board! At some point this irresponsible management of taxpayer's money has to end and people be held accountable. This is not a game of monopoly, this is the real deal. The developers even see that the time clock is ticking, because they are now insisting that that their development agreements have clauses to protect them from any future moratorium. This whole house of cards is teetering on collapse and the the people are wising up.